Discussion in 'National Politics' started by InfoWarrior, Oct 8, 2017. Senior Congress leader Kapil Sibal cited filings with the Registrar of Companies (RoC) and said it was surprising to see a company with no inventory or assets show a turnover of Rs 80.5 crore. The Congress and the Aam Aadmi Party lapped up a media report which said the turnover of a company owned by BJP President Amit Shah’s son increased 16,000 times over in the year following the election of Narendra Modi as prime minister and the elevation of Shah to the post of party president. The Congress sought answers from Prime Minister and the BJP president, and demanded a probe by the ED and the CBI. Addressing a press conference at the AICC headquarters, senior Congress leader Kapil Sibal said it seems the fortunes of some people have changed after the change of power. He said filings with the Registrar of Companies (RoC) have revealed that the company owned by Shah’s son Jay started making profits after 2014. The story was reported by The Wire today. somebody’s name is Jai, Amit and Shah who can arrest them. I can confidently tell you that the Prime Minister will remain silent,” Sibal said. He alleged he has learnt that the electronic media has been asked not to show his press conference. “The Prime Minister will not speak. Because it is about the son of his party’s president. Unhi ki ho jai wo hain? So how suddenly there was a turnover of Rs 80 crore..this company was dealing in agri products….” he said. Asked where is the criminality, he said “we are talking about crony capitalism. Criminality will only (be established) if there is an investigation. That will only be determined by an investigation. Why where these loans given through ooperative banks without a mortgage, without proper security. Seven crore was the turnover of the cooperative bank and loan of Rs 25 crore was given…why,” he asked. He spoke about Kusum Finserve, a limited liability partnership incorporated in July 2015 with Jay Shah owning a 60 per cent stake in it. He said the got company got Rs 25 crore loan from the Kalupur Commercial Cooperative Bank. The board of directors of the bank, he said, include individuals from the Nirma group and Nirma university. “Our appeal to the Prime Minister is that you are the pradhan sevak ….you always say na khaunga, na khane dunga….tho nahin khane dijiye.” “This is the Shah model of business…,” he said. The AAP also held a press conference. Senior leader Ashuthosh said a FIR should be registered against Jay Shah and a probe should be ordered into his company’s activities. Guynextdoor, Blackjay and Agent_47 like this. The Wire has claimed that a company owned by Jay Shah saw a 16,000 times jump in its turnover in a year. reminds me of this guy. Meanwhile Jay Shah has submitted all the legitimate documents to the Wire and asked them to take out the story, as he was paying taxes and hadn't received any advantage from any PSU or Co-op Bank. 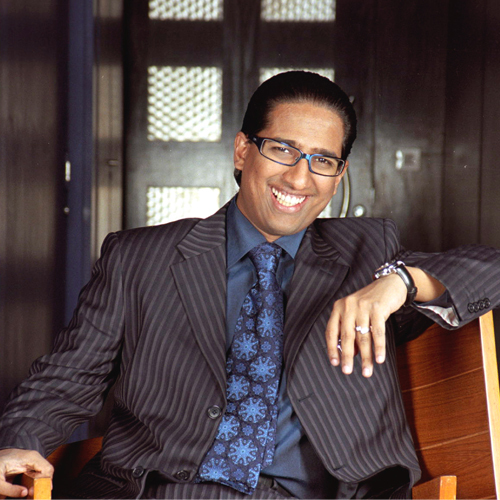 The Wire denied, hence Jay has filed defamation suit for 100 crore. So we'll either hear an apology letter from Wire or a long running case in High Court. Lets see, AFAIK about Jay he has stayed away from politics and received loans from pvt financial companies so this case will be nothing on the grounds of normal business deal, and this news has been coined keeping Gujarat elections in mind nothing else. VIP, madmax613, Bloom 17 and 1 other person like this. The Indian Penal Code (IPC), 1860 lists defamation as a criminal offence, making it punishable by fine or imprisonment or even both. There are many reasons why this is problematic. There is the stigma of being arrested and accused of a crime. There is the fact that it was made an offence in a time when duelling to protect one’s reputation was common. There is the fact that the IPC does not recognize irony or keep truth as an absolute defence. There is the fact that having both a civil and criminal remedy for the same injury forces an already overburdened judiciary to respond to the same matter twice. After a hiatus of a few months, journalist Rohini Singh makes a comeback. Singh was last seen as a journalist with Economic Times. She was on the forefront of their coverage of the Uttar Pradesh elections of 2017. To say she read Uttar Pradesh wrong, would be an understatement, and soon after the results she disappeared from public gaze as well as social media. In 2016, she had attempted to expose “irregularities” relating to then Gujarat CM Anandiben Patel, and the attempt was debunked here. Now, around a month before Gujarat elections, she is back, this time with a leftist site called TheWire, which itself has been party to fake news in the past. 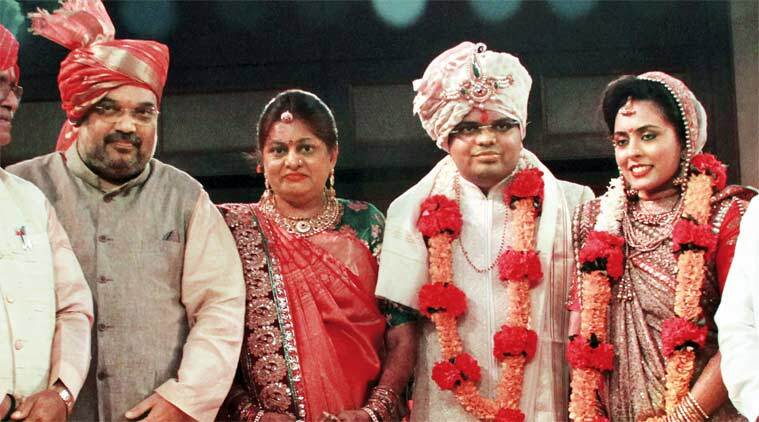 Singh’s latest scoop is titled: “The Golden Touch of Jay Amit Shah” and documents the rise of Amit Shah’s son’s businesses, and how they coincide with Narendra Modi becoming prime minister. Of course, words like “scam” are not thrown around, but nudge-nudge-wink-wink statements and questions are asked. But this article is not about Rohini Singh. This is about facts. And the lack of facts in the article in thewire. The innuendo is clear: No sooner did Modi become PM, a failed business of Amit Shah’s son, became an overnight success. First of all, the year in which the revenue shoots up, coincides with the year in which Temple Enterprises Pvt Ltd, went in for one major change: Jay Amit Shah was appointed as director in the company just before the financial year started, in January 2015. Perhaps, this is when the company decided to expand. The above table is made up only from the data provided by Singh. Does it seem odd, when you notice that she mentions the profit figure for 3 years, but then in the 4th year, “forgets” the profit figure and instead focuses on turnover? One of the crux of the article is that the turnover jumped 16000 times, hence Mr Jay Amit Shah has the “golden touch”. But would a man with the “golden touch” incur a loss of Rs 1,48,00,551 (Rs 1.48 crores)? Yes, as per the same Registrar of Companies (RoC) filings (link at the end) which Singh quoted so much, this company with Rs 80.50 cr revenues, had Rs 81.99 cr as expenses, and incurred a loss of Rs 1.48 crores as soon as Modi came into power. Of course, revealing such information would puncture the entire narrative that Jay Amit Shah’s business was successful just as Modi came into power. Hence, this small piece was hidden by Singh. From Rs 20 lacs of shareholders’ funds on 31.03.2015, thanks to the “golden touch” year, the networth became NEGATIVE Rs 77.99 lacs on 31.03.2016. 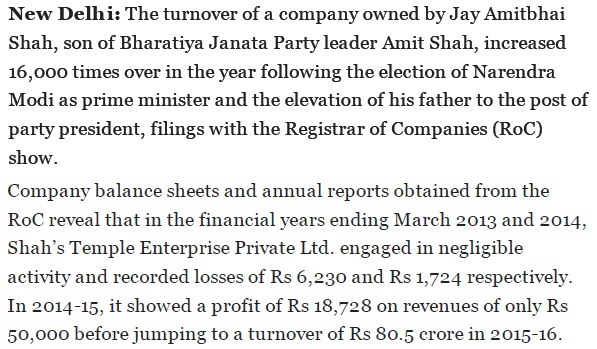 So to put this entire thing in context: Jay Amit Shah had a “golden touch” due to which, his company incurred a loss of Rs 1.48 crores as soon as Modi came into power, ended up with a negative net worth of Rs 77.99 lacs, and shut down business activities. Quite a “golden touch” that! Rohini Singh, former journalist at Economic Times, now writing for TheWire.in, just claimed that Reserves and Surplus which turned negative Rs 80.2 lacs from positive Rs 19 lakhs “jumped”! Even grade school children are taught that numbers with brackets with them are negative figures, and basic financial literacy means you know that negative reserves are losses! After the above, it may not even be necessary to read the remaining article and take any of its “facts” on face value. In another paragraph, Singh mentions that KFIS is a Non-Banking Financial company (NBFC). As seen above, Singh again puts up some figures: Loan given Rs 15.78 crores, Revenue Rs 7 crores. Prima facie these numbers can evoke shock. How can someone with an income of Rs 7 crores lend Rs 15.78 crores? Well that is what NBFCs do!. An NBFC is almost like a bank i.e. it lends money to borrowers, but unlike a bank, does not accept bank deposits from public. Hence it is called a “Non-Banking” Financial Company. The revenue earned by NBFCs is of course interest on loans. Thus, if an NBFC extends loans of Rs 1000, the income can be expected to be around Rs 100 to Rs 200 from that loan, depending on the interest rate varying from 10% to 20% (on a very high side). Thus it is perfectly normal for NBFCs to have low revenues but high loans. For example, Bajaj Finance, which is one of India’s biggest NBFCs had Rs 9977 crores Revenue vs Rs 57,683 crores of loans given for March 2017 i.e. Loans were almost 6 times more than revenues. Singh clearly does not understand financial companies. Lastly, she claims that the loan given was not mentioned in the balancesheet of KFIS. Do banks or NBFCs list out the names of all their borrowers on the balancesheet? Are they even allowed to do so? No! Just to be sure, check the above linked balancesheet of Bajaj Finance, which is also a listed NBFC. Next she mentions how Kusum Finserve, another concern of Jay Amit Shah, had managed to raise a loan of Rs 25 crore from a cooperative bank against collateral valued at under Rs 7 crore. Oddly, she herself busts this, when she puts forth the reply from Jay Shah’s lawyer. There was no “loan” of Rs 25 crores. There was only a Letter of Credit (LC) of up to Rs 25 crore. What is an LC? An LC is an obligation taken by a bank, to pay the agreed amount to the seller on behalf of its customer. An LC is mostly used for imports, and the money is paid to the seller abroad, against an import bill. The amount is utilised as and when imports are made by the buyer, and replenished as and when further sales are made. Since the amount under an LC is paid against purchases of actual goods, the goods act as security for such amount, and hence the initial security given is usually lower than the total LC limit. When the bank actually pays the money to the selelr abroad, it has dual security: That of the property given before using the LC, and also of the goods which are bought using the LC. Again, a business journalist should have known this. Maybe the wire did not have an internet connection, because the entire terms and conditions of availing loans from IREDA is available on the site, and any private entity in India can apply for a loan! It is important to note here that the mission of IREDA is to promote, develop and extend financial assistance for renewable energy and energy efficiency/ conservation projects. It has sanctioned around Rs around Rs 37,000 crore of credit for clean energy projects so far and further Rs 28,000 crore to developers, which aids generation capacity of around 7,000 MW. It plans to sanction around Rs 13,000 crores this financial year. Not quite the puzzle now is it? Low on Facts, High on Innuendo. So what does this major “expose” by Rohini Singh prove: It shows how a company owned by Amit Shah’s son, made a loss of Rs 1.48 crores as soon as Modi came into power, and eroded its net worth, forcing it to shut operations. Another company took standard business finance facilities from a cooperative bank. These finance facilities were misrepresented by Singh as “loan”. It also made use of a Government scheme to promote renewable energy by taking a loan for a wind power project. While narrating this Singh could not even distinguish between a negative reserves position from a positive position. Perhaps this is why The Economic Times did not have faith in Singh. Its not a big deal. Most politicians are used to getting their a** licked for favors. Our small time corporator in the local municipality moved from a honda city to a land cruiser and now a land rover rather quickly. We all know their so called business model. The bugger is another anpadh sadak chaap who claims to have several businesses. If small corporators have successful business models imagine the top politicians. of course it is reality. All that is ebing done is to remove the illusion that BJP is not corrupt. Radia Fame Presttitute who peddled lies to create Narative of 'Vikas in UP' & help Samajwadi & Congress is reactivated before Gujrat Elections. Her Pen has Zero Credibility. Her Figment of Imagination has already been debunked. Wire should be ready with 100 cores.